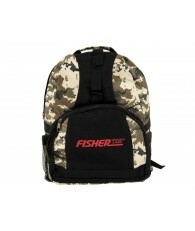 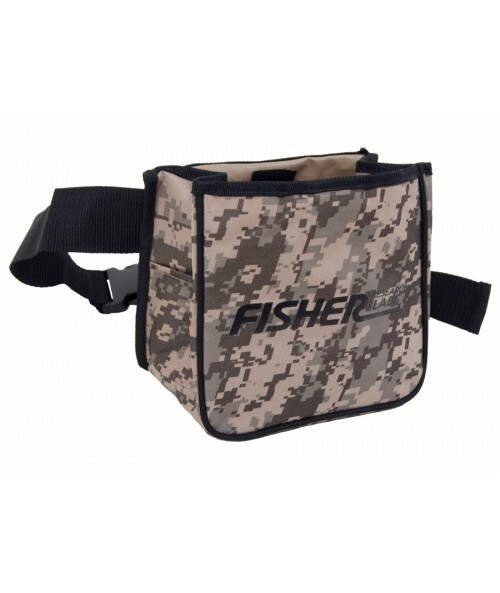 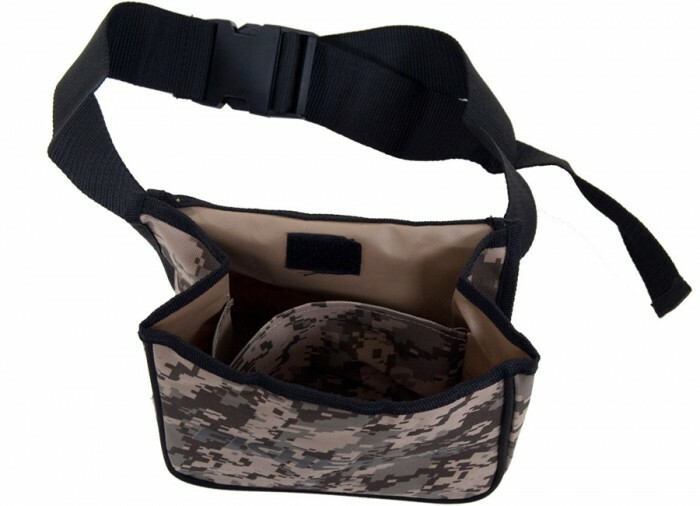 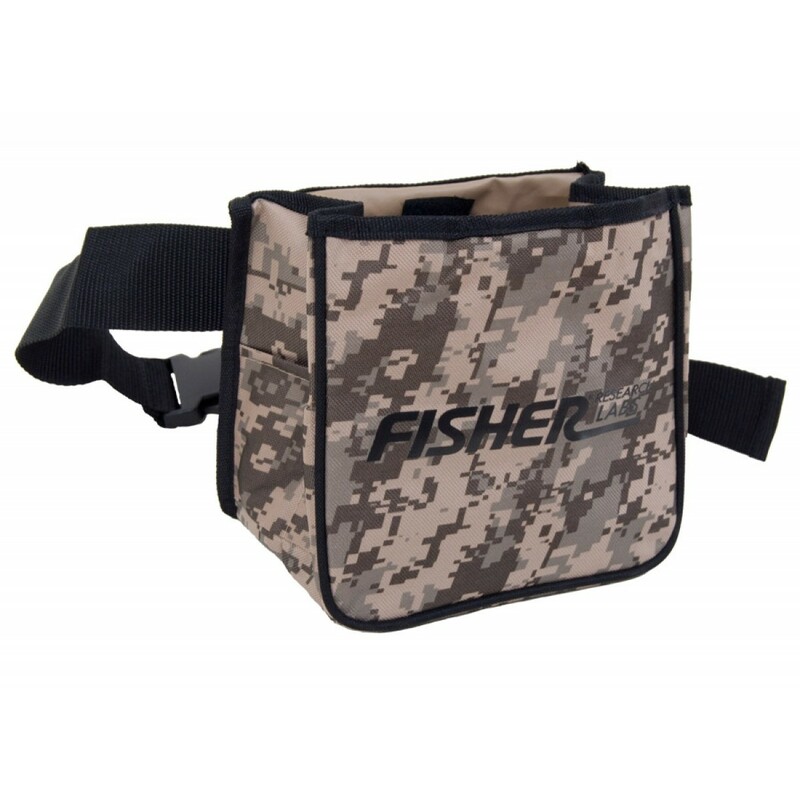 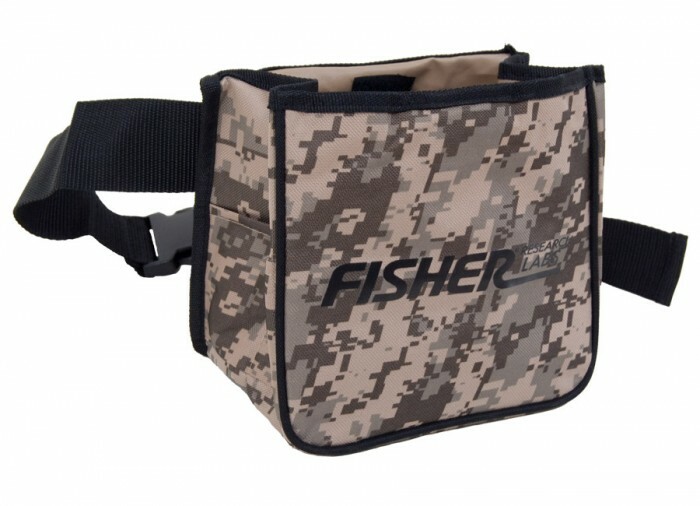 This Fisher 2-pocket digital camouflaged recovery pouch gives you two internal pockets so one can be used for treasure and the other for trash. 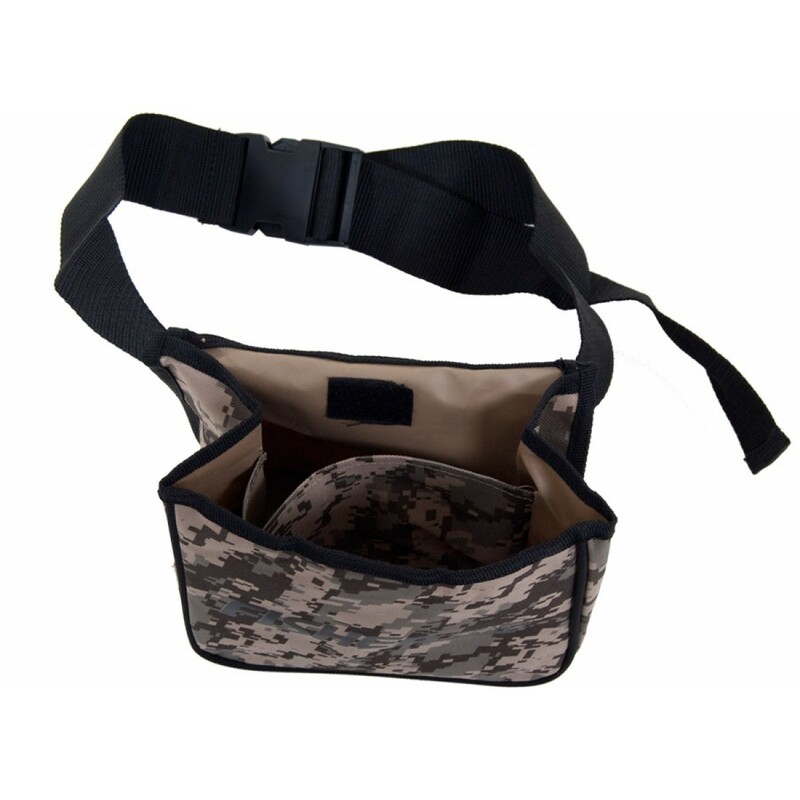 Both pockets are 7" x 7" x 2.5" with a velcro closing tab on the top lip. 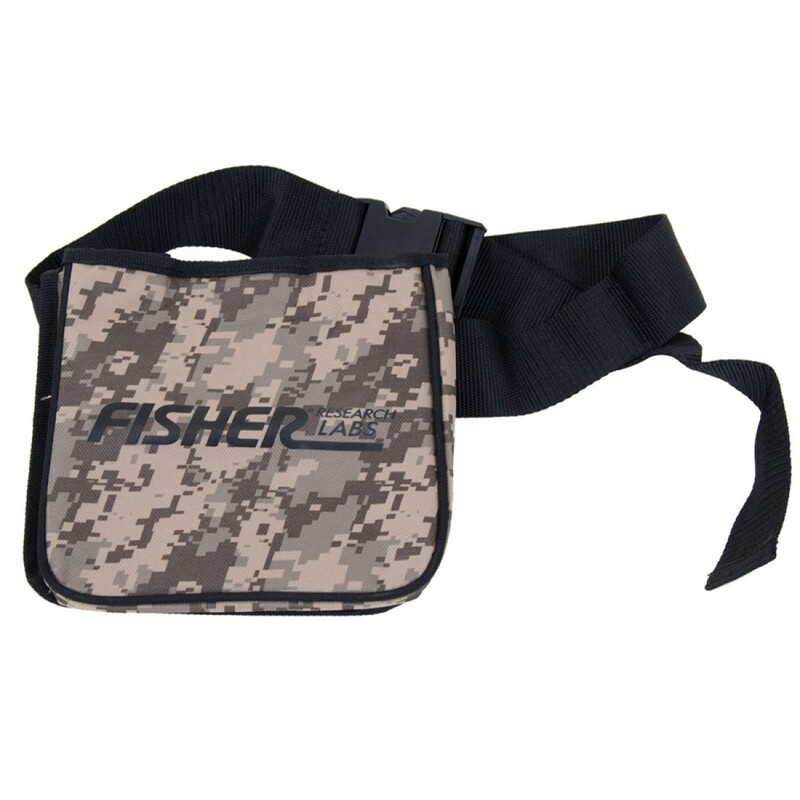 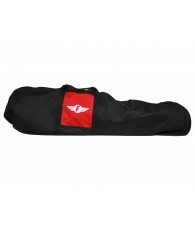 Overall size is 7" x 7" x 5" with the included 2" web belt with buckle. 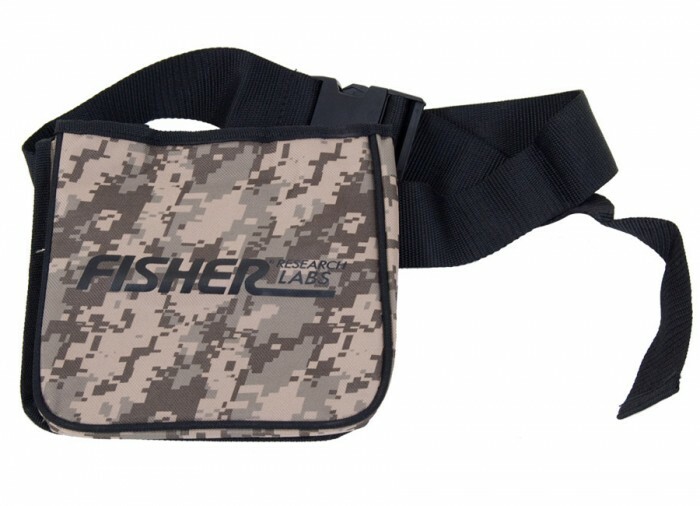 Total belt length is 44".